When would a contractual provision be considered a penalty clause not enforceable in courts? The position adopted by Singapore courts is largely based on the early 20th century authority of Dunlop Pneumatic Tyre Company v New Garage and Motor Company  AC 79 (“Dunlop Tyre”). The United Kingdom Supreme Court (“UKSC”) has since created a new leading authority to replace Dunlop Tyre. In the highly anticipated Supreme Court judgment in the joined cases of Cavendish Square Holding BV v Makdessi and ParkingEye v Beavis  UKSC 67, the highest court of England and Wales has, for the first time in a century, reconsidered and reformed the law on penalty clauses. This article seeks to compare the newly fine-tuned UK doctrine with the position currently adopted by the Singapore courts. The United Kingdom Supreme Court (“UKSC”) had in the recent judgement for the joined cases of Cavendish Square Holding BV v Makdessi and ParkingEye v Beavis finetuned the principles and law governing penalty clauses. The breach of a penalty clause typically stipulates a contractual remedy in the form of payment of money including an obligation to transfer assets or a forfeiture of deposit. As a general rule, where any provision in a contract is found to be a penalty clause, it will not be enforceable. In determining whether a contractual provision is a penalty clause, the test has been to assess whether the consequence that follows the breach of that provision is a genuine pre-estimate of the innocent party’s loss. In recent years, it has become increasingly difficult to apply the “genuine pre-estimate of loss” test to complex commercial cases. This is because a provision in a complex commercial contract may not be a penalty clause even though consequences following the breach may not represent a genuine pre-estimate of the loss suffered by the innocent party. Following the Supreme Court’s latest decision, the long-cited test of whether a liquidated damages clause is a genuine pre-estimate of loss designed to compensate the innocent party rather than deter the defaulting party from committing the breach (as established by early 20th century authority of Dunlop Tyre) is no longer conclusive although the Supreme Court accepted that it might still be of use in considering simple damages clauses in standard contracts. First, it must be ascertained whether the provision is a secondary obligation rather than a primary obligation. A secondary obligation is one that arises on the breach of a party’s primary obligation under the contract (e.g. a primary obligation may be to repay certain monies by a specific date and the secondary obligation is payment of an additional amount upon failure to fulfill the primary obligation). Second, it should be considered whether it is within the innocent’s party legitimate interests to impose that secondary obligation (i.e. the clause or secondary obligation serves and protects legitimate business interests). The innocent party’s interest must extend beyond simply punishing the defaulting party – the interest must be in the performance of the contract or some appropriate alternative. However, compensation is not necessarily the only legitimate interest that the innocent party may have in the performance of the defaulting party’s primary obligations. Lastly, a balancing exercise must be carried out to determine whether the secondary obligation is out of proportion to the innocent party’s legitimate interests. In assessing this, the court must consider whether the clause is unconscionable, exorbitant or extravagant. It should be noted that a deterrent clause is not inherently penal. A deterrent provision is merely designed to influence the conduct of a party. If it is unconscionable, exorbitant or extravagant, it will not be enforceable. Ultimately, the key consideration is whether a clause is penal, not whether it is a genuine pre-estimate of loss. The fact that a clause is not a genuine pre-estimate of loss does not automatically make it a penalty clause. In Cavendish Square Holding BV v Makdessi, Mr Makdessi agreed to sell to Cavendish Square Holding BV (“Cavendish”) a controlling stake in the holding company of the largest advertising and marketing communications group in the Middle East under an agreement. The contract provided that if he was in breach of certain restrictive covenants against competing activities, Mr Makdessi would not be entitled to receive the final two instalments of the price paid by Cavendish (clause 5.1) and could be required to sell his remaining shares to Cavendish, at a price excluding the value of the goodwill of the business (clause 5.6). Mr Makdessi subsequently breached these covenants. Mr Makdessi argued that clauses 5.1 and 5.6 were unenforceable penalty clauses. 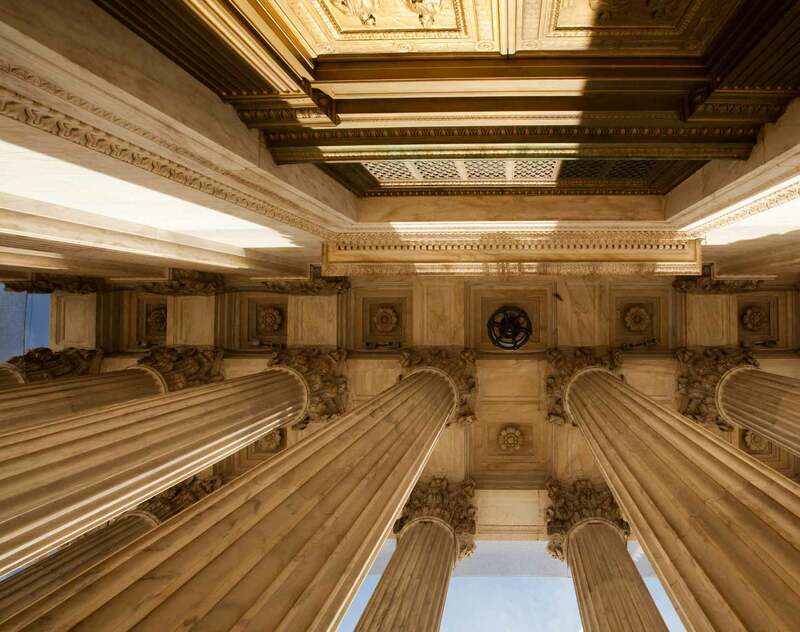 Applying the fine-tuned penalties doctrine, the Supreme Court found that both clauses imposed a primary obligation, not a secondary one, and were therefore not penalty clauses which would be unenforceable. On the other hand, the Singapore courts have been applying the “genuine preestimate of loss” test. Singapore’s position on the law governing penalty clauses are based on the principles established by the seminal case of Dunlop Tyre. It will be held to be a penalty if the sum stipulated for is extravagant and unconscionable in amount in comparison with the greatest loss that could conceivably be proved to have followed from the breach. There is a presumption (but no more) that it is penalty when “a single lump sum is made payable by way of compensation, on the occurrence of one or more or all of several events, some of which may occasion serious and others but trifling damage”. The fact that the consequences of breach render a precise pre-estimate of damage nearly impossible is not an obstacle to a finding that the stipulated sum constitutes a genuine pre-estimate of damage. It is well-settled that when a contractual term provides for liquidated damages payable in the event of a breach, this term is enforceable only to the extent that the liquidated damages are a genuine pre-estimate of the loss flowing from that breach of contract.4 Where parties stipulate in a contract the sum to be paid in the event of a breach, the contract sum is enforceable if it is a genuine pre-estimate of loss but not if it constitutes a penalty. It is for the party being sued on the agreed sum to show that the term is a penalty as in the case of CLAAS Medical Centre v Ng Boon Ching  2 SLR 386 (“CLAAS”). In CLAAS, Dr Ng breached a clause in a shareholders’ agreement with the medical centre to not engage in any business in competition with the business of the medical centre and/or the practice of aesthetic medicine for as long as he remained a shareholder and for a period of three years following the date when he ceased to hold shares in the medical centre (the “restraint of trade clause”). He did this by setting up his own general and aesthetic medicine medical practice less than two months after he sold all his shares in the medical centre and tendered his resignation. The Court of Appeal considered the question of whether the sum was too extravagant, having regard to the range of damages which the innocent party was likely to suffer, that it could not constitute a genuine estimate of the damages that he could have suffered. The court concluded that the liquidated damages of S$1 million was a genuine pre-estimate of the damages which the medical centre could suffer if Dr Ng breached the restraint of trade clause, as the amount payable reflected the expertise and goodwill he possessed in the field of aesthetic medicine. In Max Media FZ LLC v Nimbus Media Pte Ltd  2 SLR 677 (“Max Media”), the plaintiff promised the defendant guaranteed amounts of payments over a period of three years under a sales agency agreement and provided an initial bank guarantee for the sum of US$2,500,000 to secure its payment obligations in respect of the first contract year. The defendant consequently called on the bank guarantee pursuant to, among other things, the plaintiff’s failure to make payments as agreed. The High Court applied the principles established in Dunlop Tyre in deciding whether the contractual clause entitling the defendant to draw upon and retain the bank guarantee in the face of the plaintiff’s default constituted a penalty clause. The High Court found that the bank guarantee represented a genuine pre-estimate of the total loss to which the defendant was potentially exposed because the bank guarantees represented the amount due to the defendant over the contractual period. The secondary obligation is out of proportion to the innocent party’s legitimate interests (i.e. unconscionable, exorbitant or extravagant). The obligation or damages sought is extravagant and unconscionable in comparison with the greatest loss that could conceivably be proved to have followed from the breach. The UK Supreme Court’s new test is an extended and revamped version of the longcited test established in Dunlop Tyre (i.e. the “genuine pre-estimate of loss” test). The new test introduced a distinction between a primary and secondary obligation. Instead of limiting the test to an assessment of a genuine pre-estimate of loss, the new test is worded broadly to take into account all legitimate interests in imposing the secondary obligation. The similarity between the UKSC’s recent position and the Singapore position, which is based on the long-cited test established in Dunlop Tyre, is that both tests take into account proportionality and consider whether the consequences following the breach of that clause are unconscionable or extravagant compared to the innocent party’s legitimate interests or the genuine pre-estimate of loss in the UK and Singapore position respectively. It remains to be seen how the Singapore courts will apply the UK Supreme Court’s fine-tuned doctrine.